Hong Kong Mark Six is a lottery game so incredibly popular that people who don’t play it are often not considered true HK citizens. While this might be a bit of a stretch, it certainly shows how seriously the city takes this game, whose biggest draws often sell more than 24 million tickets—despite there being only 7 million people living in Hong Kong! In this review we’ll take a look at what makes this game so appealing and whether it’s worth your time and money to play it even if you live abroad. Mark Six began in the pre-computer era of 1975 and quickly amassed a huge following that keeps growing to this day. For many people, it is so ingrained in the Hong Kong culture that it has become an indispensable part of daily life. One of the most recent updates to the game took place on December 2, 2010, when the previous drawing machine was upgraded to the Smartplay International Halogen II drawing machine that is a popular standard around the world. The Mark Six lottery is operated by the Hong Kong Jockey Club, which is a not-for-profit organization that also operates betting, horse racing, and sports entertainment. This Hong Kong Jockey Club is among the oldest organizations in the city, dating back all the way to 1884. Since it has its hands in so many lucrative activities, the club is the biggest taxpayer in Hong Kong, contributing more than 6.5% of all the taxes that the city’s government collects. It is also the biggest philanthropist organization, supporting numerous endeavours around the city that tackle various social issues and greatly help the community. Hong Kong Mark Six uses the 6/49 format common to quite a few of the best lotteries online. In other words, players must choose 6 balls from a pool containing 49 balls numbered 1 to 49. Players typically choose them based on lucky numbers or numbers that have some special meaning or significance to them, while others prefer to use the Quick Pick option, which chooses the numbers for them. A seventh number, known as the “Extra Number” or “Half Number”, is also drawn from the same pool. While this number does not play any role in whether or not someone wins the jackpot, it does dictate who wins the second, fourth, and sixth prize tiers. Players whose six balls match those that are selected during the draw win the jackpot prize, which starts at a guaranteed HK $8 million (€899,986) and usually climbs rapidly from there. If there are no winners of the first or second-tier prize, the money rolls over to the next draw. 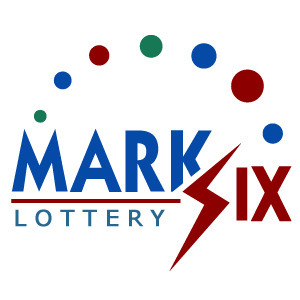 One great thing about the Mark Six lottery that ups the ante is that a percentage of the proceeds that are collected for each draw are set aside into a “Snowball Pool”. Then, on special occasions throughout the year such as Easter, Chinese New Year, and Christmas, this money is added to the jackpot prize pool, meaning the Snowball Draws tend to be much bigger than the regular draws. 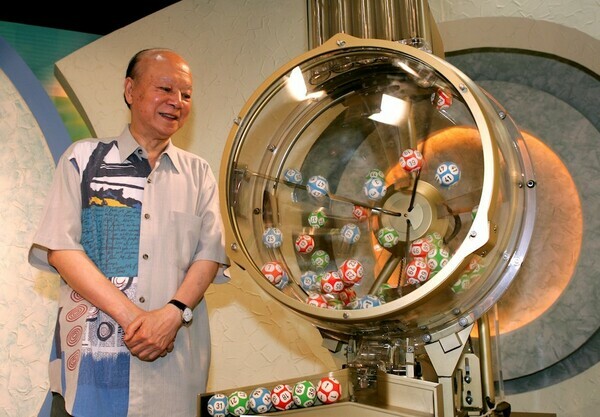 The odds of winning the jackpot prize in the Hong Kong Mark Six lottery are typical of most 6/49 draws: 1 in 13,983,816. Compared to many other major lotteries that offer big prizes, these odds are actually quite good overall. South Africa Lotto, for example, has odds of 1 in 20,358,520, while Spain Bonoloto and Canada Lotto 6/49, two lotteries that also use the 6/49 format, have the same 1 in 13,983,816 odds that Mark Six does. If you’re looking for better odds, Australia Saturday Lotto gives players a 1 in 8,145,060 chance of winning, and its Mega Draw and Super Draw jackpots are comparable to the Snowball Draws mentioned above. Austria Lotto 6 aus 45 also offers these same odds. In addition, the overall odds of winning a prize in any of Hong Kong Mark Six’s 7 prize tiers aren’t that great at 1 in 54. The Mark Six lotto draws three times per week, at 9:30 pm HKT on Tuesday, Thursday, and Sunday night. Sometimes, if there are horse races on Sundays, the draw will take place on a Saturday instead of a Sunday night instead. After each draw takes place, players have a total of 60 days to claim their prizes. One thing worth mentioning about the draws is that in addition to being broadcast live on TV, several high-ranking witnesses, such as Justices of the Piece, are always present to ensure complete honesty and transparency. All Hong Kong Mark Six prizes are paid out as lump sums. For those players who prefer annuity payments so that they don’t get tempted to blow their money all at once, this might not be the best lottery for you. 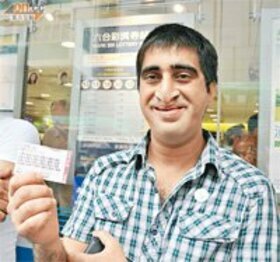 Hong Kong does not tax lottery winners regardless of what they win, so they get to keep everything they win all to themselves. If you plan on playing this game from abroad, do a bit of research to see what your local tax laws so that you’re not surprised later on. While wouldn’t want to hold you back from travelling to Hong Kong—it is an incredible city, after all—it’s much easier to play Hong Kong Mark Six via the world’s best online lottery sites. These websites, which are often categorized as online lottery agents, lottery betting sites, or hybrid sites (which encapsulate both of the previous types), take all the hassle out of the equation, making playing the lottery online a fun and streamlined experience. This is the preferred way of playing for citizens of Mainland China, who love Mark Six not just for its jackpots but also for its live broadcasts, which offer a level of transparency that is uncommon in China. Hong Kong Mark Six – Is It Worth Playing? When viewing Hong Kong Mark Six from a global perspective and comparing it to other international lotteries, it’s hard to get quite as excited about the game as the citizens of Hong Kong do, but it’s still a very solid lottery overall. The prizes are nice, the odds are good, and the seven prize tiers are all big positives in a lotto that has very few negatives. HK Lottery the MARK 6 is one of best to play. I and many friend and family plays it regular from Guangdong. Much better then China lotto!! More than 40 years old!